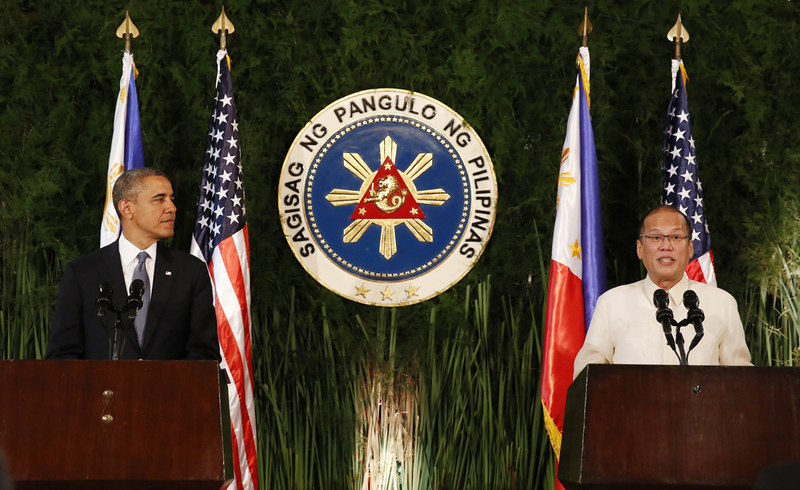 US President Barack Obama (L) gestures as he speaks while Philippine President Benigno Aquino listens during a joint press conference at Malacanang Palace in Manila on April 28, 2014. 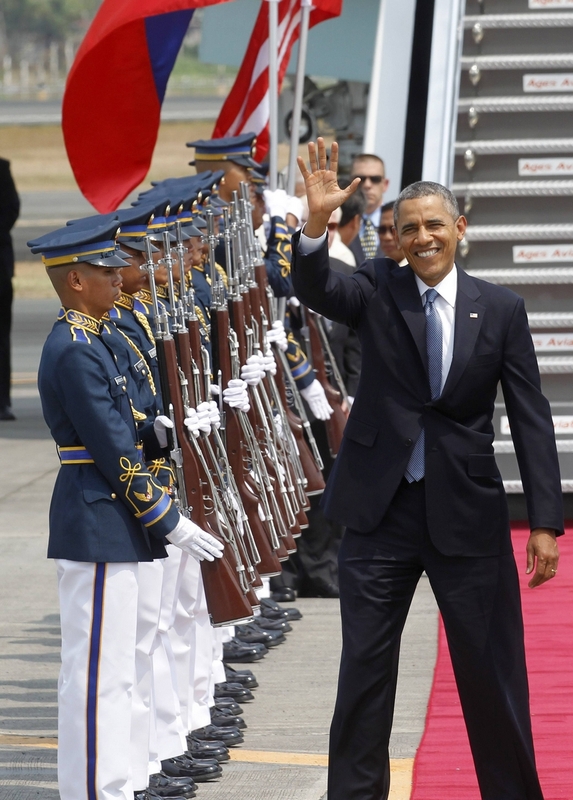 Three hours before Air Force One touched down in Manila on Monday, the Aquino administration gifted US President Barack Obama with what he primarily came here for: a 10-year defence agreement allowing more American troops in the Philippines. But in turn, Obama gave no categorical commitment whether the 62-year-old Mutual Defence Treaty (MDT) between the two countries - the backbone of the Enhanced Defence Cooperation Agreement (Edca) signed by Defence Secretary Voltaire Gazmin and US Ambassador Philip Goldberg - would apply in case the Philippines' territorial dispute with China escalates into an armed confrontation. Steering clear of the question, Obama instead pointed to Beijing's "interest" in abiding by international law, saying "larger countries have a greater responsibility" to do so. "Our goal is not to counter China; our goal is not to contain China," he said in a joint press conference with President Aquino in Malacanang, reflecting a delicate balancing act throughout his weeklong trip that earlier took him to Japan, South Korea and Malaysia. "Our goal is to make sure that international rules and norms are respected, and that includes in the area of maritime disputes." "We don't go around sending ships and threatening folks," Obama said. He said the objectives of the new deal were not limited to "issues of maritime security." Besides assisting the Philippines in disaster response, it would also cover "additional threats that may arise that we are able to work in a cooperative fashion," he said. In a speech during the state dinner, Obama said: "We are honoured and proud to call you an ally and a friend. Through our treaty alliance, the United States has an ironclad commitment to defend you, your security and your independence." Unlike Japan, the Philippines, the United States' oldest defence treaty ally in Asia, got no unequivocal statement from Obama that Washington would come to Manila's defence in the event of an armed conflict with Beijing over the West Philippine Sea (South China Sea). During the first leg of his Asian trip in Japan, Obama said: "Our commitment to Japan's security is absolute and Article 5 [of the security treaty] covers all territories under Japan's administration, including the Senkaku Islands." Article 5 of the 1951 MDT states that "an armed attack on either of the parties is deemed to include an armed attack on the metropolitan territory of either of the parties, or on the island territories under its jurisdiction in the Pacific or on its armed forces, public vessels or aircraft in the Pacific." Obama reiterated his position that the United States had no "specific position on the disputes between nations." But he said he was "very supportive" of the Philippine decision "to seek international arbitration that can resolve this in a diplomatic fashion." 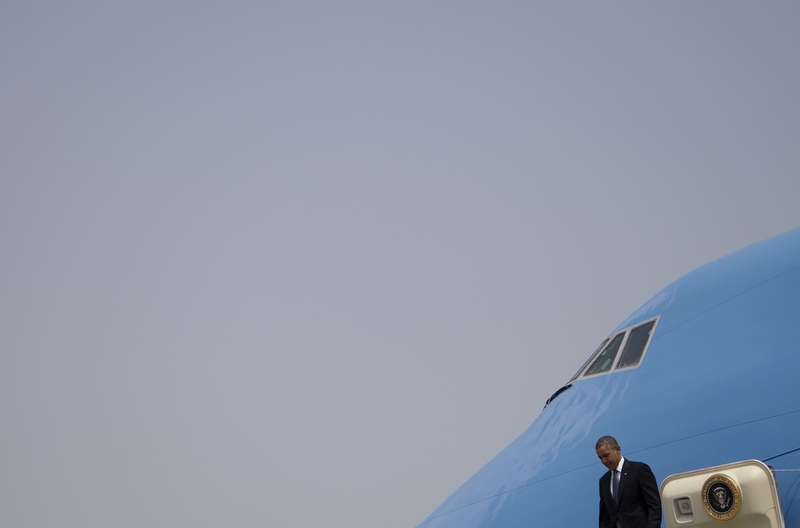 US president Barack Obama walks off the Air Force One upon his arrival at Ninoy Aquino International Airport in Manila on April 28. 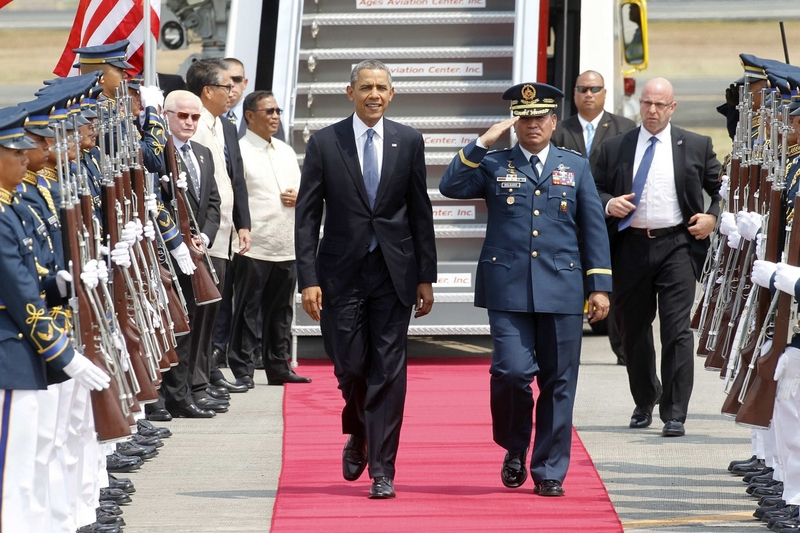 Obama waves next to honour guards upon his arrival at the airport in Manila. 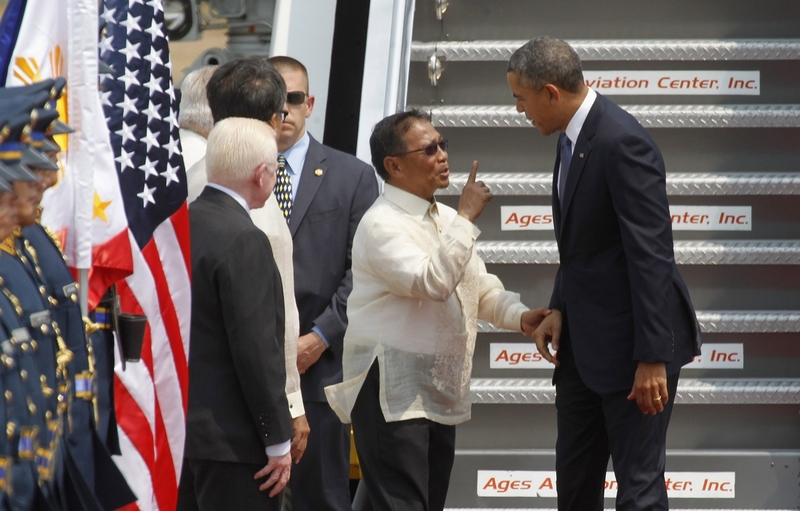 Philippine's Vice President Jejomar Binay gestures as he welcomes Obama. 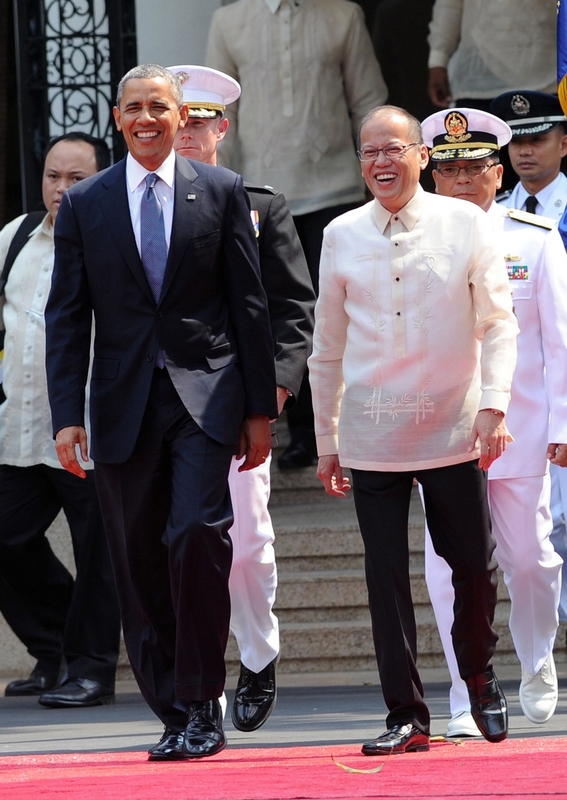 Obama and Philippine President Benigno Aquino walk prior to inspecting the honour guard during a welcoming ceremony at the Malacanang Palace grounds in Manila. 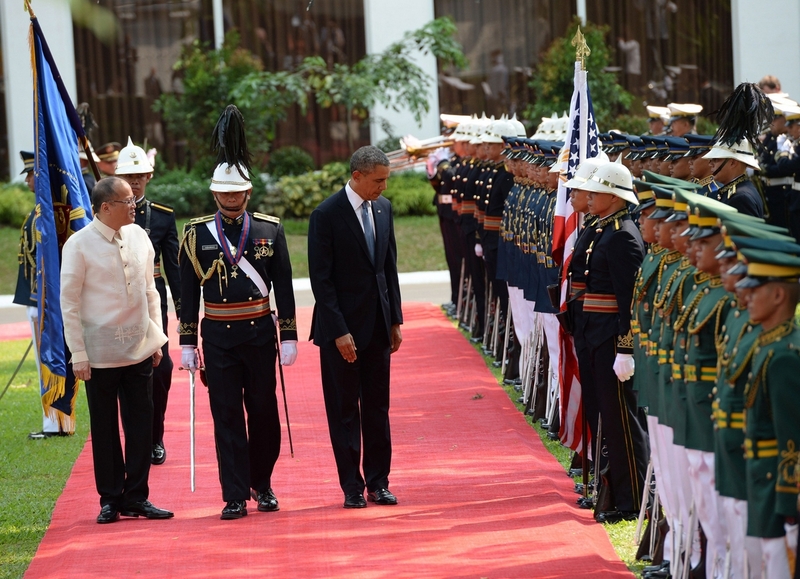 Obama bows slightly before the US flag as he and Philippine President Benigno Aquino inspect an honour guard. 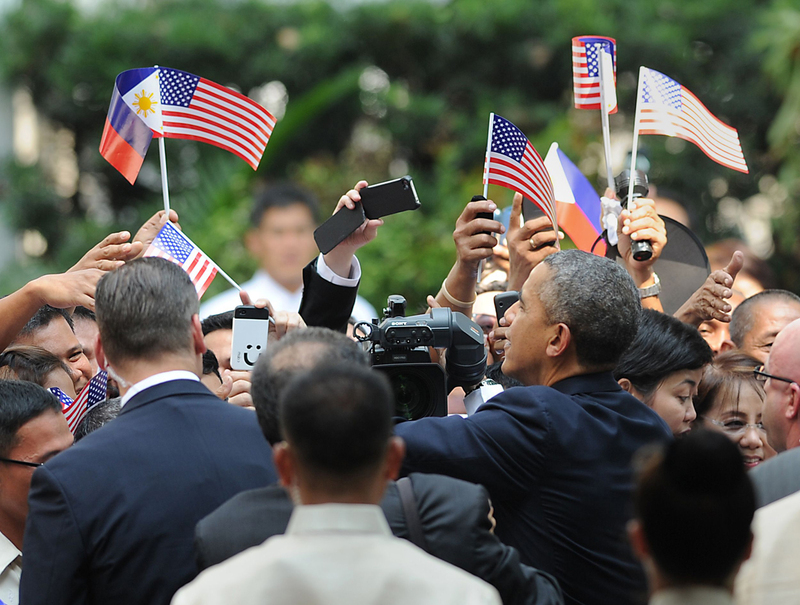 Obama greets well-wishers after inspecting an honour guard during a welcoming ceremony at the Malacanang Palace grounds. 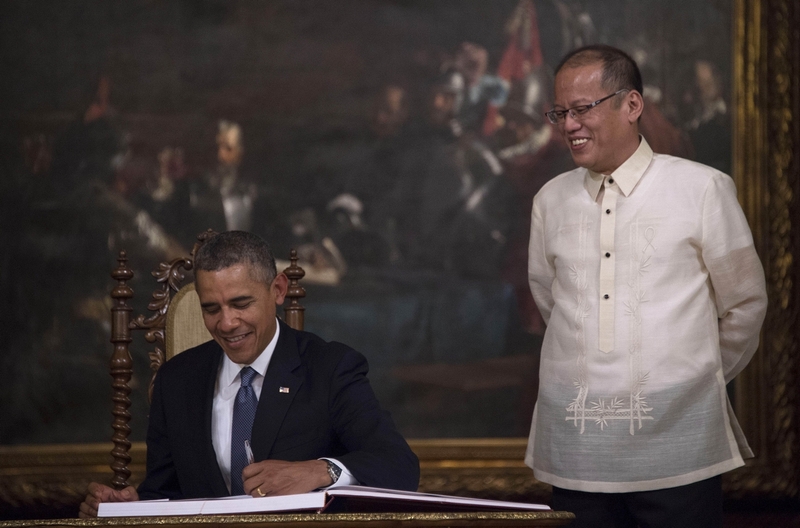 Obama signs a guest book at the Malacanang Palace as Aquino looks on. Obama landed in the Philippines to cement new defence ties on the last leg of an Asian tour conducted against a backdrop of territorial tensions between US allies and China. 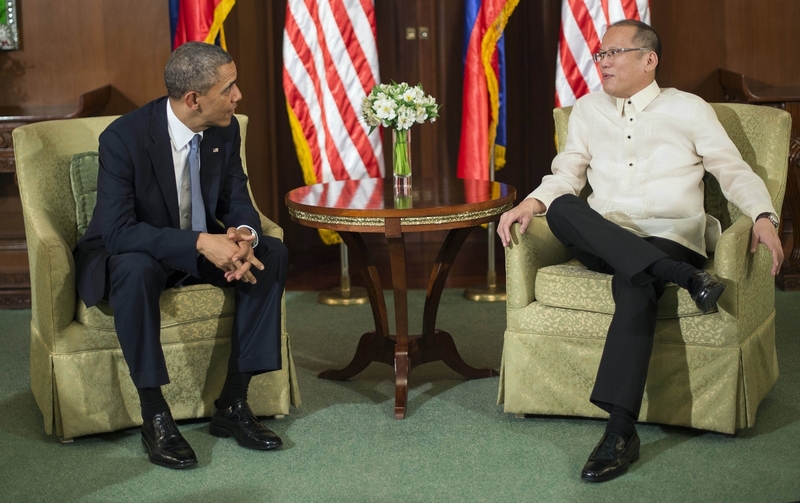 Obama talks to Aquino during their bilateral meeting at the Malacanang Palace. 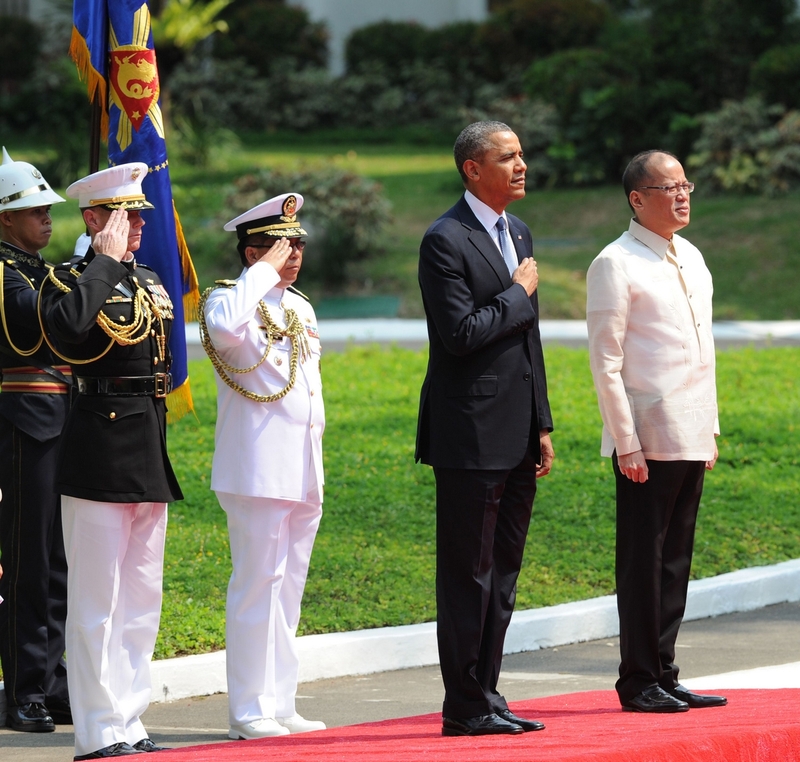 Obama and Aquino stand at attention as the national anthems are played during a welcoming ceremony at the Malacanang Palace. 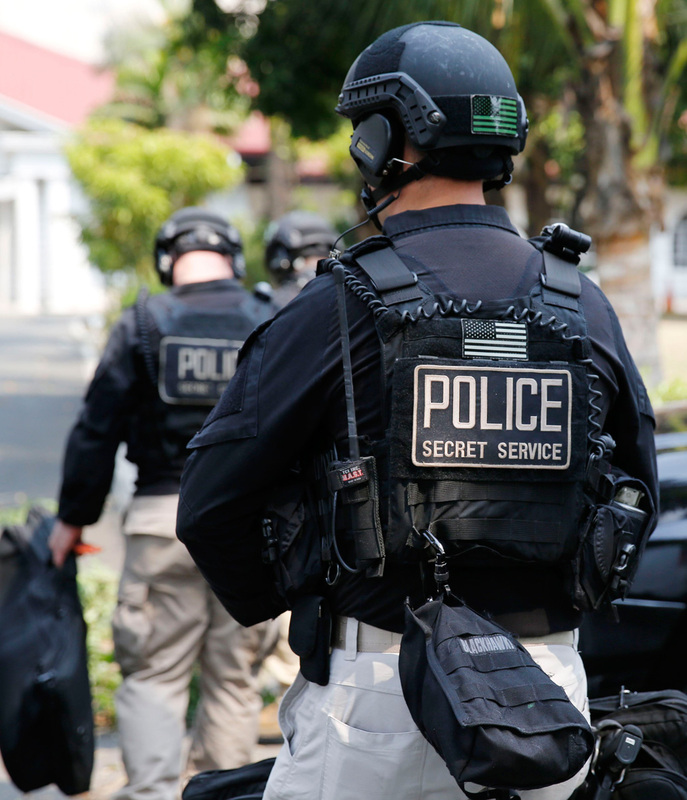 Members of the US Secret Service walk towards their vehicle in Manila. 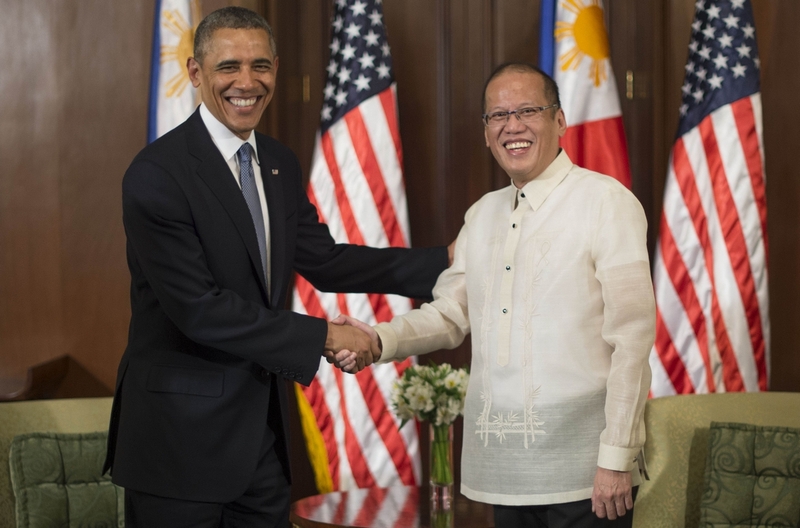 Obama participates in a joint news conference with Aquino at the Malacanang Palace.